Morgantown staged its annual con this weekend and we've obtained permission from Dan Hawkins, photographer, to display some of the images. 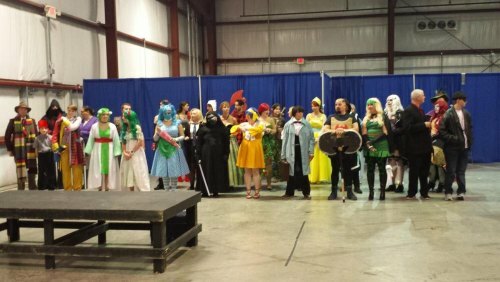 The two day con featured vendors, guests, gaming and cosplay. Former Huntington based Bunny Bombshell hosted a question and answer cosplay panel and assisted in judging costumes. Other panelists were Sheena Bot, Illustrious Captain Fish, and Wilson's House of Cosplay. Dan Hawkins, a beginning cosplayer , is shown as Baywatch Mitch Buchannon. Bunny will return to Huntington for Tsubasacon , Oct. 5-7.